On losing the match with Quetta Gladiators, Peshawar Zalmi already missed their first chance to enter the finals. This is their second chance to prove themselves or else Islamabad would be standing against Quetta. Mohammad Sami lent the needed effort that got them the winning joy. Another side, we had Dwayne Smith and Brad Haddin playing excellently. They might be of some danger to the team, but Quetta also holds few great skippers. They might be of some danger to the opponents. It’s the show time for them once again to deliver their best against Peshawar today. But the bowling end on the versus team is also commendable which packs Wahab Riaz, Shaun Tait, Mohammad Asghar and Shahid Afridi. Out of them, Riaz and Asghar took 15 and 11 wickets through the league matches. Until now, Sharjeel Khan and Misbah were doing good in the league but there might get some energy after seeing the efforts of Haddin and Smith in their last match-up. If you look at both the teams as a critic, then you would not find much difference between the capabilities of the teams. Both have been accurate and excellent through their league matches. It all decides on their today’s performance, which one handles the pressure wisely and the enter the finals to compete Quetta Gladiators. Peshawar Zalmi: Shahid Afridi, Wahab Riaz, Darren Sammy, Kamran Akmal, Mohammad Hafeez, Chris Jordan, Tamim Iqbal, Junaid Khan, James Allenby, Shaun Tait, Aamer Yamin, Dawid Malan, Imran Khan (jnr), Shahid Yousuf, Abdur Rehman, Musadiq Ahmed Ali, HasanAli, Mohammad Asghar, Brad Hodge, Israrullah, Taj Wali. PSL 2nd Qualifying Final: IU vs KK is scheduled to start at 8 p.m. local time (9:30 p.m. IST, 9 p.m. PST, 4 p.m. GMT). Unfortunately, there won’t be any way for Indians to watch the match online or on television. But the live streaming (internationally) can be watched on Cricket Gateway, the *subscription is needed. Though, the live scores will be available throughout many websites. PTV Sports is the officially contracted channel to stream all the events of PSL in Pakistan. Other channels are Ten Sports and Geo Super, available online on PTV Sports Live. Aspirants in UAE can effortlessly watch it on OSN, if needed, you can watch it online on OSN Play. 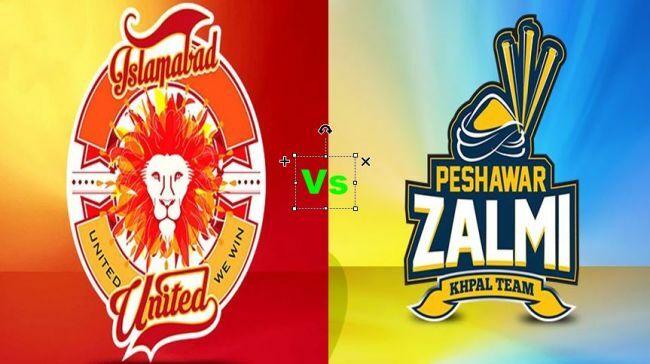 The peeps in the United Kingdom can enjoy the Peshawar Zalmi vs Islamabad United Live Streaming of the event on Prime TV, also on Prime TV Online.